Thinking about it the other day, it dawned on me that I’m going through a bit of a golden period. Of course, there are always bloody problems. Stuff doesn’t just happen. First off, you have to get out of bed every morning and put one foot in front of the other. You know what I’m saying, Lucy Joplin? It’s tougher than it sounds, innit? There’s always another cup of tea to be made. Or maybe you’re compelled to get along to the coffee shop because you need to read a few more pages of your book. And in any case, you haven’t been out of the house for four days. I can, hand on heart, say that I’ve never fallen into the Jeremy Kyle trap; nor any kind of daytime telly, except for when the Test Match used to be transmitted live by the BBC. But when the butterfly in my mind flaps its wings, on the other side of the kitchen a piece of bread hits the toaster and the kettle starts boiling. Still, things do get done. My book on the music industry is nearly finished (with the publishers; doing their thing. Mind you, no predictions from me about publication dates). I’m also, finally, writing a novel. Again, I wouldn’t hold your breath. It’ll take some time. 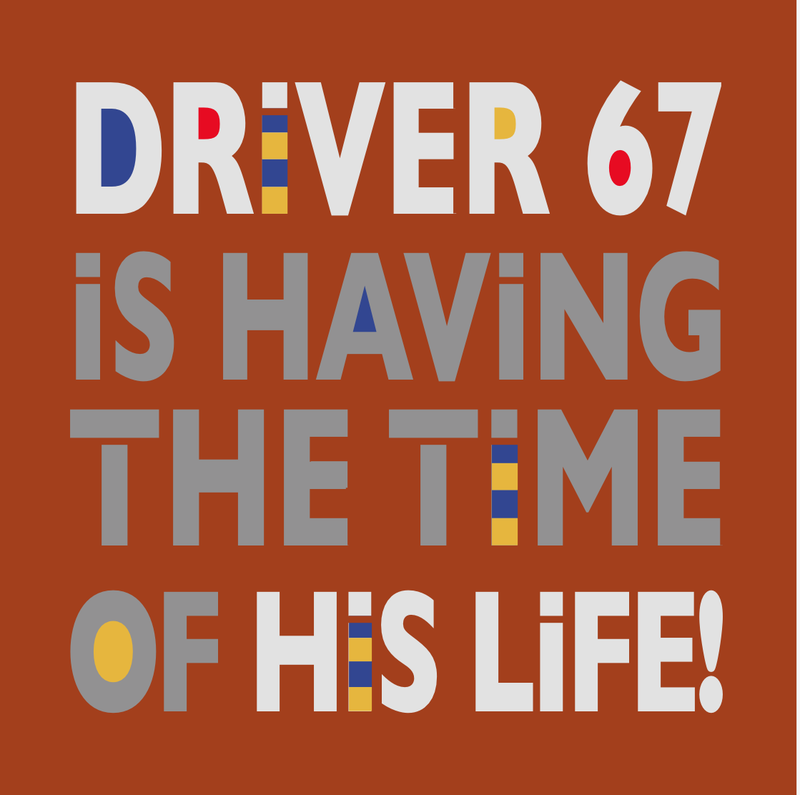 And on January 1, 2016, Driver 67 will be 67. So that’s got to be an auspicious year, hasn’t it? I’m waiting for a blocked ear to clear so I can mix my new album, which will be called…. On top of all this, for the first time in my life I’ve been asked to sing someone else’s songs. Not that it’s a done deal (I’m auditioning the songs at the moment). But to be asked alone is worth the price of entry. Apparently my ‘crooning style’ could be well suited to the material. I’ve never thought of myself as a crooner. But quite quickly, after picking myself up off the floor, I realised it’s probably the most accurate description of my singing ‘style’. I’ve never thought of myself as a singer; but I’m happy to think of myself as a crooner! Just to add to the load, I’m trying to redesign this blog into a magazine. I may not watch Jeremy Kyle, but I do spend an inordinate amount of time trolling around Facebook baiting the loony left (mostly my own family) and giving the anti-Israel lobby a dose of (my) reality. So I thought, isn’t it time you put all that effort into something of your own? You could be the anti-Huffington Post, the anti-38 Degrees, or, simply, the anti-Christ – because that’s what it feels like when the online world tips its manure on your head. Of everything I’m doing, the blog redesign is the hardest. I have no trouble writing (Look! I’m doing it now! ); and music is a joy, until it becomes work and you have to finish and release. Usually, with anything online, you just Google your problem and thousands of posts appear telling you how to do what you want to achieve. I’m a bit of a Noddy to Big Ears type when it comes to online building and design. I need all the help I can get. 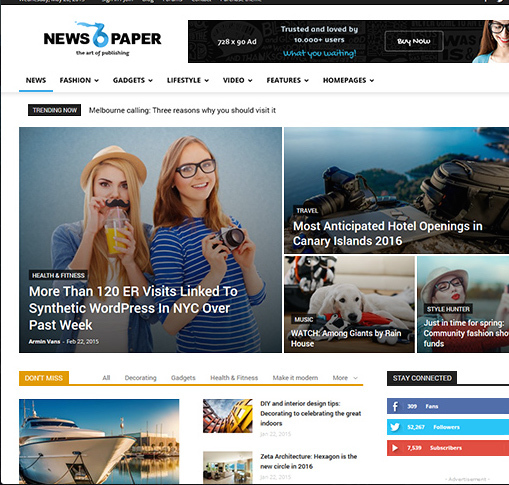 But I invested in Newspaper 6 before I found out that the usual user videos and forums aren’t out there. Nothing like someone who’s faced the same problem posting their solution. But it’s not happening. So I asked WordPress and BlueHost to point me at some easy to understand advice. And they did. Except, their idea of step-by-step involves you understanding coding and showing you loads of templates that, despite looking exciting and inviting, all end up looking almost exactly like the blog I’ve been posting for nearly two years. So if anyone out there can lend a hand, just a few Noddy to Big Ears directions will do. Once I’m up and running I can usually figure it out. But with Newspaper 6 I can barely get out of the starting blocks. Still, I’m off to Cuba on December 17, back on January 1. Like I said, Driver 67 is having the time of his life. Now, I haven’t got all day to chat. The toast is burning, and I haven’t even put the kettle on yet. Meanwhile, being deaf in one ear, I have no new music of my own this week. So – sticking with the crooner theme – I’ll leave you with one of the greatest of all time (Sinatra, of course, being the greatest. But after Frank how many cigarette papers would you put between Crosby, Bennett, Nat King Cole and Elvis Presley?). I was a bit horrified when I heard about the latest Elvis project – overdubbed by The Royal Philharmonic Orchestra. But it settles one argument for ever and a day. Elvis was a truly great singer, blessed with a voice of exceptional quality. Always helps to have a sense of humour about these things! Is Jeff Lynne Kevin Turvey? Or is he a genius?